Recuperate from your breast surgery procedure with the best doctor recommended post-surgical bra, which will allow your bust to recover in comfort and with support. This bra is wireless and is made with our exclusive DuraFit® and PowerSlim® materials that are created from the latest support technology. Its soft cups are ideal for post-surgery wear as it protects the incisions from becoming infected and they also provide excellent coverage, control bust volume and give a natural rounded appearance. Its cotton-backed adjustable hook and eye front closure make it easy to put on even with limited mobility. Its criss-cross PowerSlim® back support is made to improve posture and reduce the annoying back pain that usually shows up after surgery. This post op bra is a must have after your breast augmentation, reduction, lift, reconstruction or mastectomy surgery. Get yours today! An excellent choice after breast surgery as it controls and gives support to the entire bust, adjusting perfectly to your body. Elastic, mark-free, wide and soft underbust band that is very comfortable on the incision area and keeps bust supported during the day. Two column adjustable hook and eye front closure makes it easy to put on even with limited mobility after a surgery. It has an inner lining to protect your skin. Its double-layered soft cups made of DuraFit®, are ideal for post-surgery wear protecting the incisions to avoid infection. They also provide excellent coverage, control bust volume and give a natural rounded appearance. Perfect after breast augmentation, breast reduction, lift, breast reconstruction and all breast procedures. 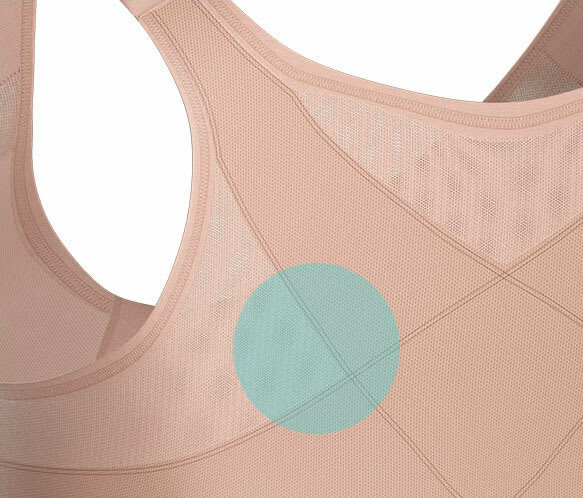 Ideal as a mastectomy bra: Easy to wear with an external prosthesis that allows you to achieve symmetry and a perfect fit that adapts to your bust shape. Flat seams and fine stitching that eliminate indentations on your skin and prevent markings on outer clothing. 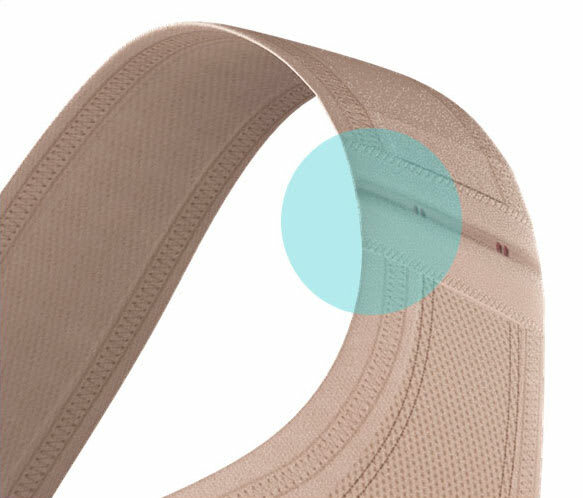 Its PowerSlim® material gives support and allows for better healing with the fabric comfortably adhering to your new shape. Comfortable design: Forget about the annoying straps that pinch or tug! This bra has 3 levels of width and soft adjustable cushioned straps that relieve shoulder stress. Criss-cross back support engineered to improve posture and reduce back pain. Innovative fabric gives support and control. Experience high resistance & durability, shape your back & eliminate annoying bra bulges. Forget about the annoying straps that pinch or tug! 3 levels of adjustable extra-soft cushioned straps and Ultra-flat seams for comfort and relief. Extreme comfort and easy to adjust to your body. Comfy enough for all day, every day.